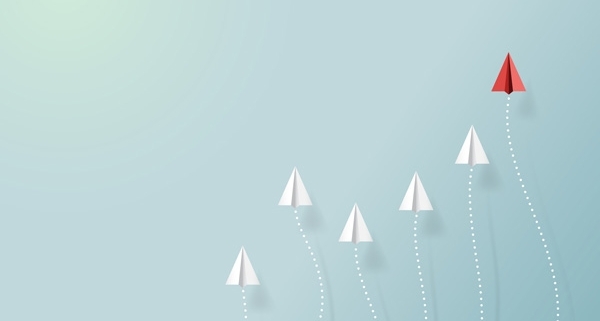 The Advisory Council on the Implementation of National Pharmacare provided an interim report to the Minister of Health and the Minister of Finance in March of 2019. The full report is expected to be released later this year. The Council was chaired by Dr. Eric Hoskins and convened sixteen roundtables with representatives from the pharmaceutical industry, insurance providers, and health-care providers. The Council also met with patients and patient advocates, and provincial and territorial governments. The council reports that drug coverage in Canada is neither adequate nor sustainable. Too many Canadians are neglected due to drug costs and the unequal access to medically necessary pharmaceuticals across the country. There was broad agreement across all groups that a national pharmacare plan should provide comprehensive, evidence-based drug coverage in a fair, responsible and sustainable manner. What is needed now is for Canadians to continue to put pressure on our elected officials to establish a universal, national, and single-payer Pharmacare plan that becomes an integral part of our Medicare in Canada and is included in the Canada Health-Care Act. This would be the most efficient and cost effective way to provide a comprehensive, equitable, and affordable Pharmacare plan in Canada for Canadians. Let us hope this is the recommendation coming forward when the Council completes its final report. BC’s Retired Teachers formally began to meet about 1945, with meetings in conjunction with the BCTF. In the early 1950’s the Retired Teachers met in various schools in Vancouver and Victoria and their leaders were mainly school principals in both cities. In 1950-51, 1952 and 1953 the leaders went to the BCTF, to discuss forming their own registered Association. This First Advisory Committee consisted of (in Vancouver) Miss Jessie McDowall, Miss Olga Elliott, Dr. Norman Black, Charles Connor and Fred Turner. This Committee formed the Executive of the Retired Teachers Association of BC as a registered group under the Provincial Act, in May 1955. They then approached the BCTF for office space and the right to become, by representation, a knowledgeable member group of that Association. The Advisory Committee was originally the Finance and Advisory Committee of the RTA. Each ‘president’ in his or her term became a member of that group of seven persons, six and the presiding RTA President in an Ex officio position. Of the six, three were appointed each year, but all appointees were people with RTA Executive experience. In 1955, the RTA was incorporated under the Society Act of BC and duly complied with its provisions. This became a government act, using incorporated organizations traditions of parliamentary procedure. By 1956 the Retired Teachers Association had approximately 1,100 members. The new President Mr. R. R. Smith suggested that they should invest their extra money in Real Estate in Vancouver. This was done very successfully, through Mr. Smiths’ real estate knowledge with the co-operation of the Finance and Advisory Committee. The goal was to have a property for lodging retired teachers. Branch formation: the Vancouver RTA and the Victoria branch in the early 1960’s became the Retired Teachers Association of British Columbia and began to study ‘Provincial status with Branches’. This was assisted by the members of the Finance and Advisory Committee. Alan Spragge of the BCTF assisted in this. In 1967, the Finance and Advisory Committee advised Mr. Graham Bruce and his RTA Executive to sell the Shaughnessy Residential Lodge for retired single teachers on West 41st Avenue. It was costing the RTA $1,600 to maintain, over and above the income from the tenants. Later the Advisory Committee recommended that the R. R. Smith Fund be separated from the BCTF Benevolent Fund and become a Fund to have investments and the interest to be used for gifts or loans, as decided upon. Good news! The BCTF approved our office renovation plan and informed us that they would cover the cost of building updates. Renovations began during spring break, and our staff have been able to keep working despite the disruptions. When renovations are complete, there will be an updated reception area, a new office for our Executive Director and a work/meeting area for directors. We are grateful to the BCTF for moving quickly to get this project underway and for bearing the cost of the renovations. The BCRTA continues to grow its membership. Between our January and March meeting we signed up 76 members. COSCO (Council of Senior Citizens’ Organizations) is in the early stages of organizing for their 2020 conference. This conference, “A Seniors Strategy for the 21st Century”, is scheduled to follow the BCRTA AGM. COSCO requested and the Board agreed to contribute $10,000 towards this event. Up to six (6) members approved by the Board will be funded to attend. Conference details and the process for member application to this conference will be available in the spring of 2020. The Finance Committee reviewed our budget setting process. We are looking to structure our budget in a manner that better reflects how our committee expenditures relate to BCRTA goals. Keep a healthy life. Do moderate exercise (like walking every day), eat well and get your sleep. It’s easy to become sick and then it gets harder to recover and remain healthy. Prevention is always the simpler way. That is why you need to keep yourself in good shape and be aware of your medical, physical, mental and social needs. Keep in touch with your doctor, and follow through with tests even when you’re feeling well. Stay informed. Go ahead and buy those beautiful items you can afford for your significant other. This especially includes experiences you share. Enjoy what you have worked so hard to gain with your partner. There will come a day when one of you will be missing the other and all the wealth you have will not provide much comfort then. Take time to enjoy what you have now, together. Teacher Certification – Are You Current? The demand for teachers on call has never been higher, and it’s a great way to supplement your retirement income. But keeping up your certification is important. PostScript asked the Teacher Regulation Branch (TRB) to answer some common questions. Who is required to have a teaching certificate issued by the TRB? Anyone who teaches in BC’s K-12 education system must have and maintain a teaching certificate from the Ministry of Education issued by the TRB. This include the public, independent and offshore school systems where the BC curriculum is taught. A teaching certificate is required not only for classroom teachers but also for school administrators (such as superintendents, principals and vice principals). It is suggested that those planning to teach in the system also have and maintain a teaching certificate. How do I maintain my teaching certificate? Under the Teachers Act, you are required to pay an annual practice fee of $80 to maintain your teaching certificate. Ensure your payment is made through the TRB by May 31 each year to avoid a late fee. If your annual practice fee and late fee are not received by June 30, your certificate will be suspended, and an additional late fee will be applied. If your fee and late fees are not received by October 31, your certificate will be cancelled. Note that if you are employed by a public school board or an independent school authority, the annual practice fee will be deducted from your pay cheque and remitted by your employer on your behalf. Under the Criminal Records Review Act, you must also authorize a criminal record check every five years to maintain your certificate. The TRB facilitates the requirement by collecting your authorization for a check and submitting it to the Criminal Records Review Program of the Ministry of Public Safety and Solicitor General who will perform the check. I didn’t maintain my teaching certificate. How do I re-certify? If you relinquished your certificate or your certificate was cancelled or has expired, you will need to apply for a new certificate. To qualify for a new certificate, you must meet the certification requirements in place at the time you apply. However, because you previously held a certificate, you may not be required to re-submit all of the required documents. The TRB will bring forward as many records as possible from your previous certification file. How will I know when to pay my annual practice fee or authorize a criminal record check? Keep your contact information (telephone number, email address and mailing address) updated with the TRB so that you will receive important notices about these requirements in a timely manner. In addition, at any time, you can log into Your Account online to change your contact information and to view up to date information regarding your payment and criminal record check status and history. What if I have more questions about these requirements? You can find additional information regarding the certification requirements and the application process online under the Certificate Services tab at https://www.bcteacherregulation.ca. Alternatively, you can phone the TRB and speak to a Certification Representative at (604) 660‑6060. 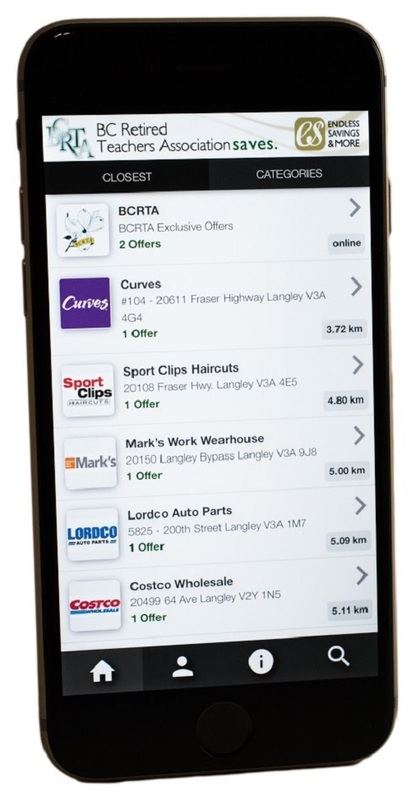 Download the BCTRA version of the ESM App and save on everyday purchases from hundreds of businesses including national chain retailers, service and travel providers. To get the ESM App, go to your app store (Google or Apple). There has been an increasingly comprehensive discussion in Canada regarding a move to establish a universal, single-payer, Pharmacare plan in Canada. In late 2016 the Parliamentary Budget officer put out a report indicating there would be substantial savings over the long term in having such a program. A more recent report by the House of Commons Committee on Health has also looked favourably on such an option for Canadians and Dr. Eric Haskins was appointed to develop an implementation plan for the federal government. The Broadbent Institute has also produced a report written by Greg Marchildon and Andrew Jackson. This report is clear and succinct and easily read and understood. 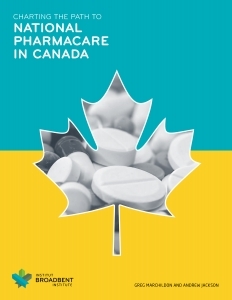 The report outlines the history of working towards a national and universal Pharmacare program that began in the mid-twentieth century and has continued to be advanced to the present day. The report outlines the history of Pharmacare, the status of the hodgepodge of public and private plans operated at the provincial and territorial levels, and discusses two approaches to providing a national and universal Pharmacare program. One option is to have the federal government oversee through legislation, national standards, and funding to the provinces and territories who would assure a universal program in their jurisdiction. The other is to have the federal government finance, administer, and regulate a national single-payer program for all of Canada. The report then discusses their preference for the second option. The question of a universal, single-payer, pharmacare program is becoming much more of a necessity than a topic of discussion as the present status of prescription medications is seeing significant cost increases for individual Canadians, the recognition that Canadians cannot afford their prescription medications, and the ever increasing costs of private health benefit plan premiums for those fortunate enough to be able to afford such a plan. The Well-Being Committee of the BCRTA is presently preparing a petition to present to members and others in support of a national universal and single-payer pharmacare plan and would encourage your support of our efforts by reading the excellent report from the Broadbent Institute.